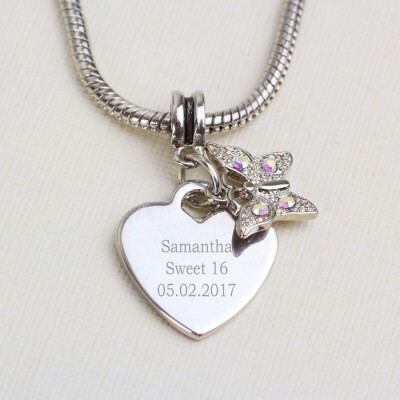 This Personalised Butterfly Charm Necklace is a stunning gift that is suited to any occasion. 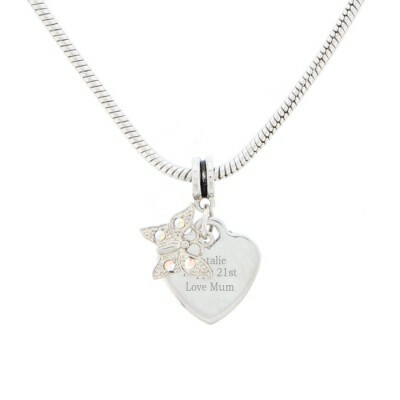 Personalise this Necklace and personalised heart charm with any message over 3 lines. This 45cm necklace comes with an engraved heart tag with butterfly charm. Perfect for Birthdays, Weddings, Anniversary, Mother's Day.